Originally posted in the April 2017 issue of Fargo, INC! 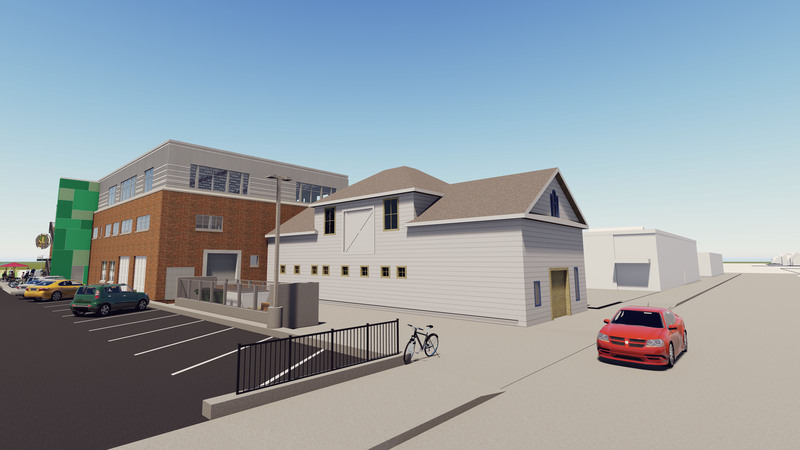 This 100-year old former horse stable in Downtown Fargo will soon house Wild Terra, North Dakota’s first cidery. 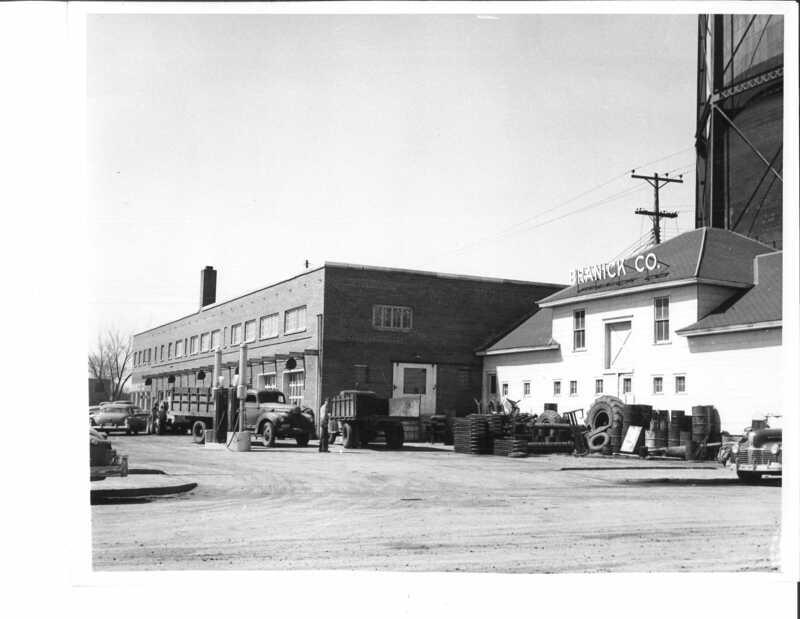 In 1950, the current masonry building, now home to Prairie Roots Food Cooperative, was constructed by the Branick Manufacturing Company. The building was used to manufacture tire inspection and retreading equipment and served as a filling station until the late 1960s. In 1972, Mathison’s Printed purchased the buildings used it as a retail space for drafting and blueprint supplies and large-format printing service until December 2015, when the buildings were acquired by Kilbourne Group. 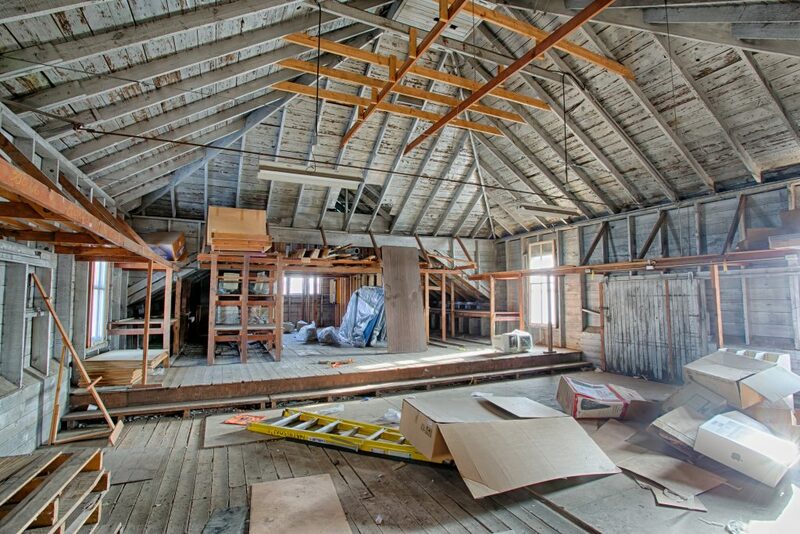 The stable is two stories with roughly 2,000 square feet per floor. 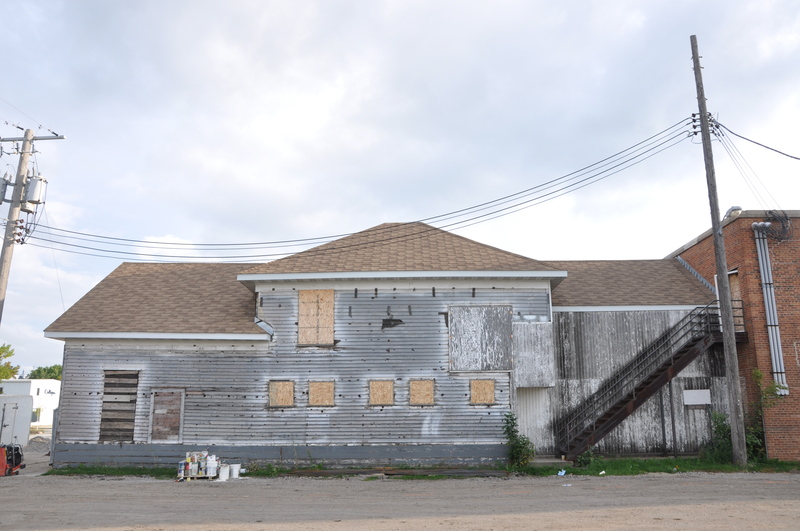 Mathison’s used the building for cold storage as it lacks weather tight windows, insulation, and modern systems like plumbing, HVAC, and electrical. Last year, we removed the transite siding and uncovered an impressive gable roof which creates a unique, open space. Due to today’s lack of demand for horse shelters and cold storage in downtown Fargo, this building is a prime candidate for adaptive reuse. Bringing the building to life will require a new roof, windows, insulation, flooring, stairs, electrical, mechanical, addition of a sprinkler system and bathrooms, and more. We are grateful to the City of Fargo and the State of North Dakota for their partnership in the project through the state’s Renaissance Zone program. The result will be the transformation of a very old, unnoticed, unused and very unique space in downtown Fargo into a brand new experience for residents and visitors alike. Wild Terra Cider and Brewing, set to open in the stable in the fall of 2017, brews hard cider and kombucha. As self-described “two kids crazy about craft beverages,” Ethan and Breezee Hennings have a passion for adventures that satisfy their curiosity about the earth and expand their palettes. Wild Terra, slated to open in fall 2017, will sit adjacent to the new Prairie Roots Food Co-op in Downtown Fargo. Wild Terra will bring to the Fargo region a further focus on local, quality craft beverages through its own house cider, other regional ciders and non-domestic ciders, as well as mead, wine and, of course, kombucha. The kombucha will be brewed with all organic ingredients and will have rotating infusions available on tap as well as mocktails in the taproom. Wild Terra will bottle and distribute to cafes, restaurants and health studios around the area. Brezee describes their products as both traditional and new world style ciders, that are more dry and have less sugar then mass produced ciders. She says cider bridges the gap between beer and wine, lower in alcohol and carbonated like a beer, yet dry and fruit based like wine. Wild Terra will also offer cyser which is a blend of honey and cider, with a higher alcohol content, closer to a wine. Farmers used to make hard cider in their barns and patrons would go into the barn and drink. How cool that this urban cider house will have a setting reminiscent of a traditional farm based cidery!